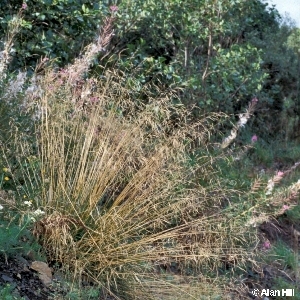 This species forms dense clumps or tufts of long, narrow, very rough leaves and tall, rather graceful flowering shoots. Common, especially in damp places. 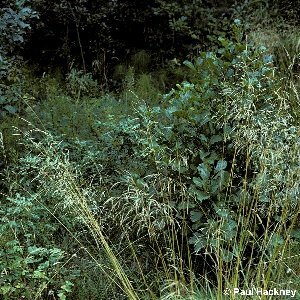 All names: Deschampsia caespitosa (L.) P.Beauv. 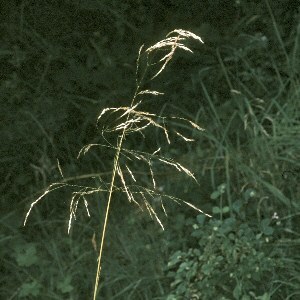 ; Deschampsia caespitosa (L.) Beauv. ; Aira cespitosa L.